Peel and cut the potatoes into cubes. 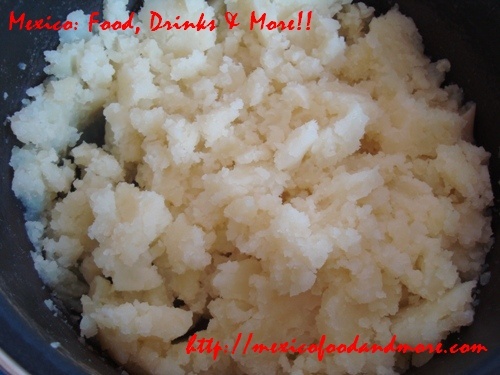 Boil in salted water along with the garlic cloves until soft. 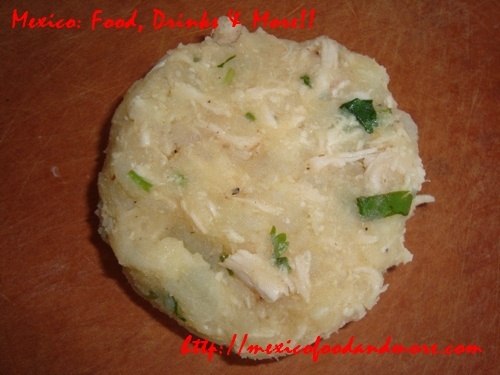 Drain, then mash potatoes lightly, and set aside to cool. 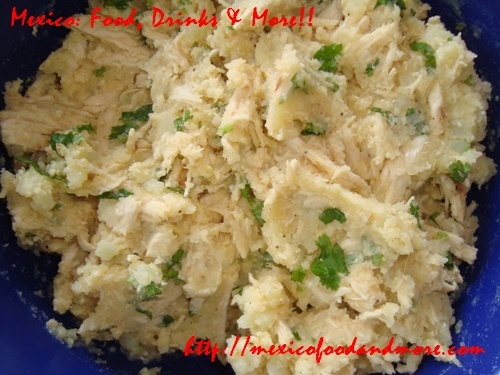 Once the potatoes are cool, add the shredded chicken, eggs, cilantro, cheese, and salt and pepper to taste. Mix well. 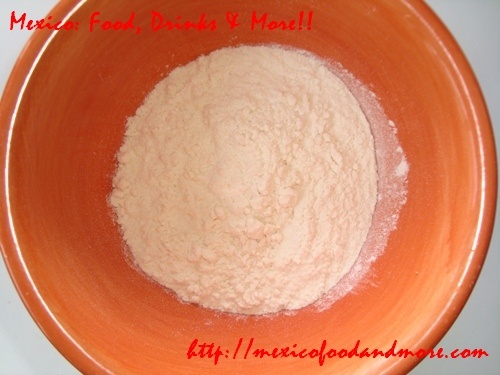 Place the flour in a medium bowl or plate. 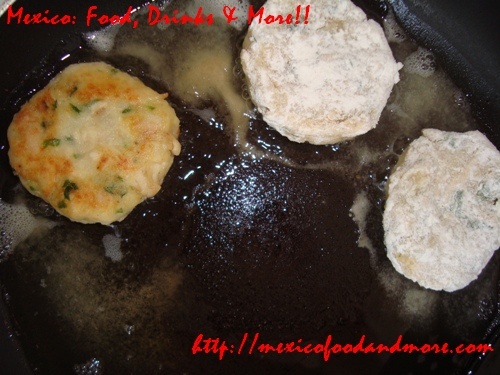 Form a small patty with the chicken-potato mixture. 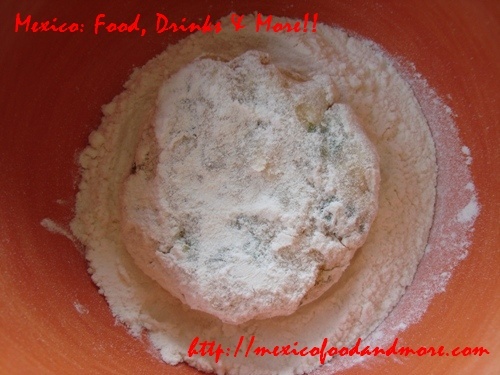 Place in the flour and coat thoroughly, removing any excess flour. In a large skillet set over medium-high heat, add oil to about 1/4-inch deep. Transfer the patty to the hot oil. Cook until golden brown and flip. When the other side is golden brown, transfer the croquette to a large plate lined with paper towels to drain. 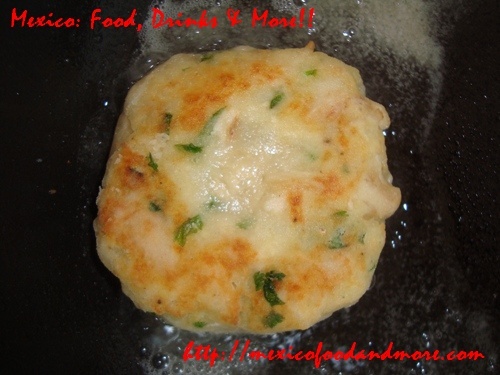 Repeat steps to make croquettes with the remaining chicken-potato mixture. This makes about 18 croquettes. 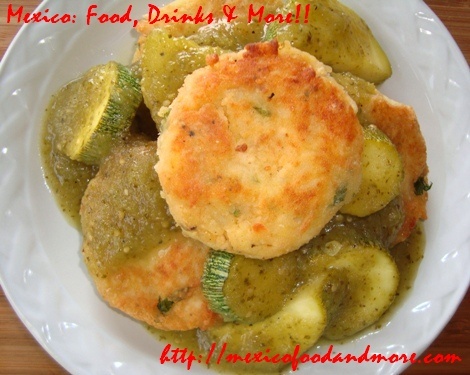 Serve hot, topped with the zucchini in green sauce (recipe follows), or garnish as desired. 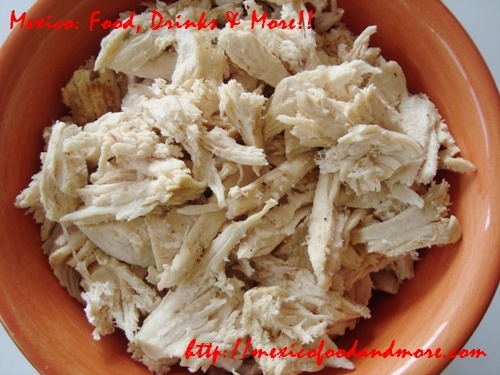 Note: For another tasty option (tortitas de papa con atun), substitute two cans of tuna packed in oil for the shredded chicken. Just drain the tuna and follow the recipe above. 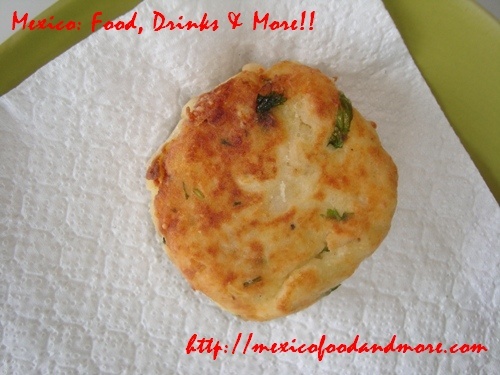 Or, to make simple tortitas de papa, just eliminate the chicken. 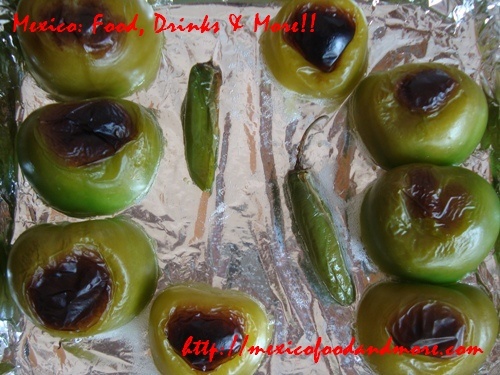 Cut the tomatillos in half and place them along with the serrano chiles on a foil-lined broiler pan. Roast them under the broiler until softened and skins are blackened, about 5 to 7 minutes. Set aside to cool. 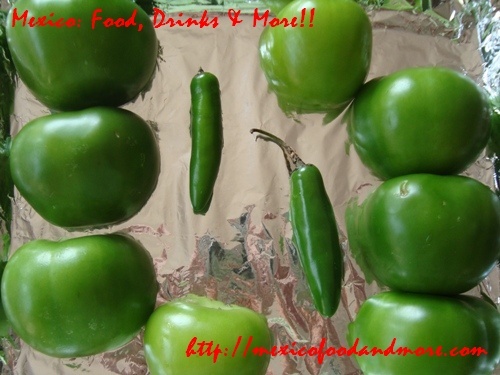 Remove the stems from the chile peppers. 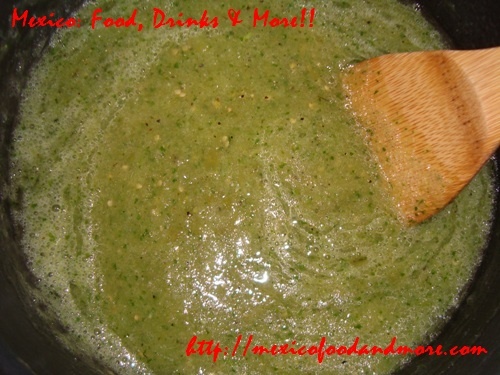 In a blender, combine the tomatillos, chiles, onion, garlic, and cilantro, and blend until smooth. Heat the oil in a medium saucepan set over medium-high heat. 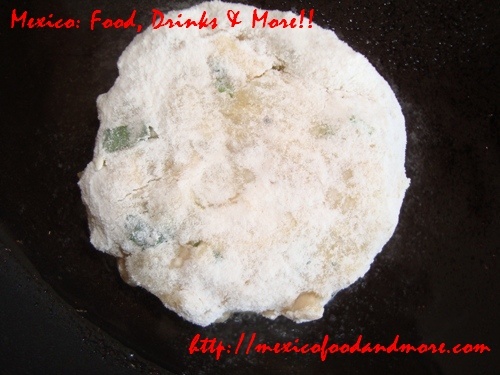 Pour the green sauce into the pan and bring to a boil. 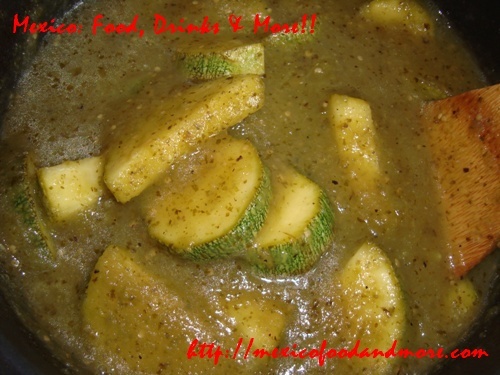 Reduce the heat to low and simmer about 5 minutes. 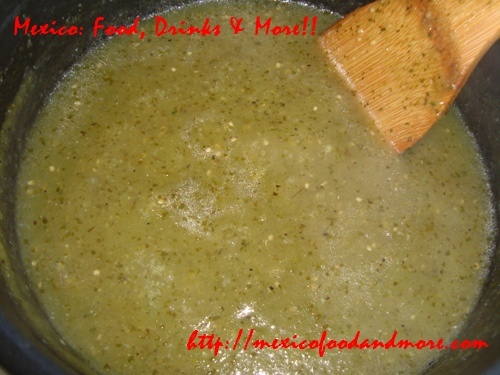 Add sugar as needed to balance out the acidity of the tomatillos. Add the chicken bouillon powder and salt to taste. Adjust seasonings as desired. 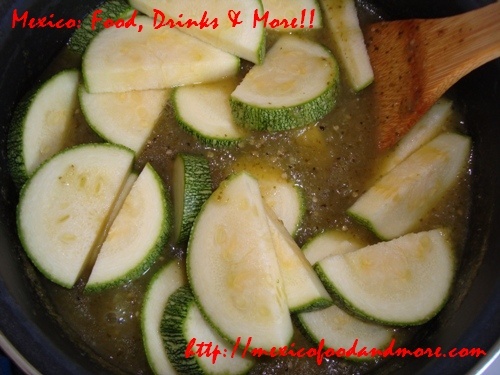 Add the zucchini. Simmer another 5 minutes or so, stirring occasionally, until the zucchini is tender. Keep the sauce warm. Pour it over the chicken and potato croquettes and serve. 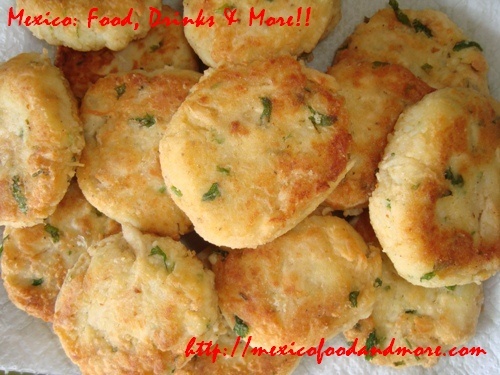 This entry is filed under Appetizers, Breakfast, Chicken, Dinner, Side Dishes. You can follow any responses to this entry through the RSS 2.0 feed. You can leave a response, or trackback from your own site.